Forget being born with a silver spoon in your mouth — now, you can be born with a wearable designed just for you. As the wearable market trends younger and younger, child development company VersaMe today announced the Indiegogo launch of Starling, “the world’s first education wearable for newborns to children up to the age of 5.” What could a child possibly want with a wearable, you ask? To improve their future vocabulary, IQ, and emotional well-being, of course! And if a wearable seems like a strange way to address these issues, well … welcome to the 21st century. 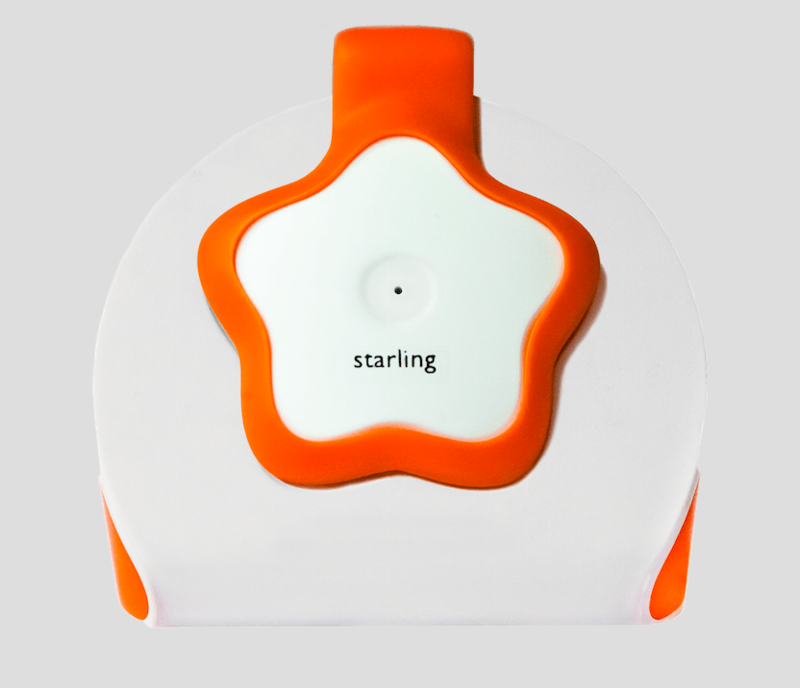 A star-shaped device with a diameter of around 49 millimeters, the Starling can be worn around your child’s neck for easy word counting. A companion VersaMe app can then monitor progress or set goals for word improvement, though the Starling can count words locally too, without an Internet connection. And because it’s water resistant and made of medical-grade plastic that is safe for newborns and causes no irritation to sensitive skin, you don’t have to worry about the Starling being broken or (more importantly) breaking baby. And for $129, you can keep track of that talking with Starling.